Food grade sodium hydroxide / Lye. Used for soap or biodiesel when the quality of the caustic is very critical. Also use if: you have been having problems with the consistency of batches, formulate with hard to saponify oil blends, or employ sensitive essential oils. 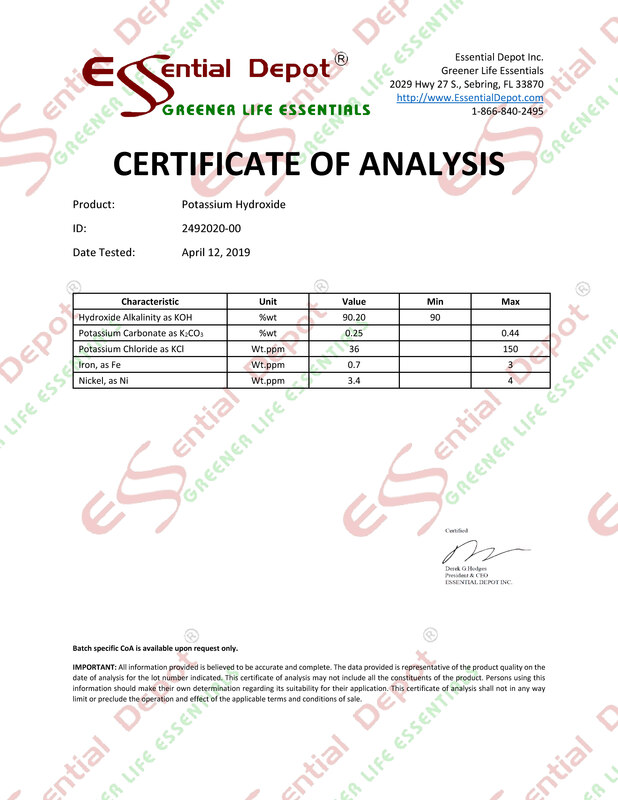 This grade is also Food Codex, FCC, and Kosher, with a Certificate of Analysis included. Can be used for Pretzels, Olives, Lutefisk, Hominy or any other food use. Shipped as 4 x 2 lb. contianers in one box.